The top selling suzie in marble! 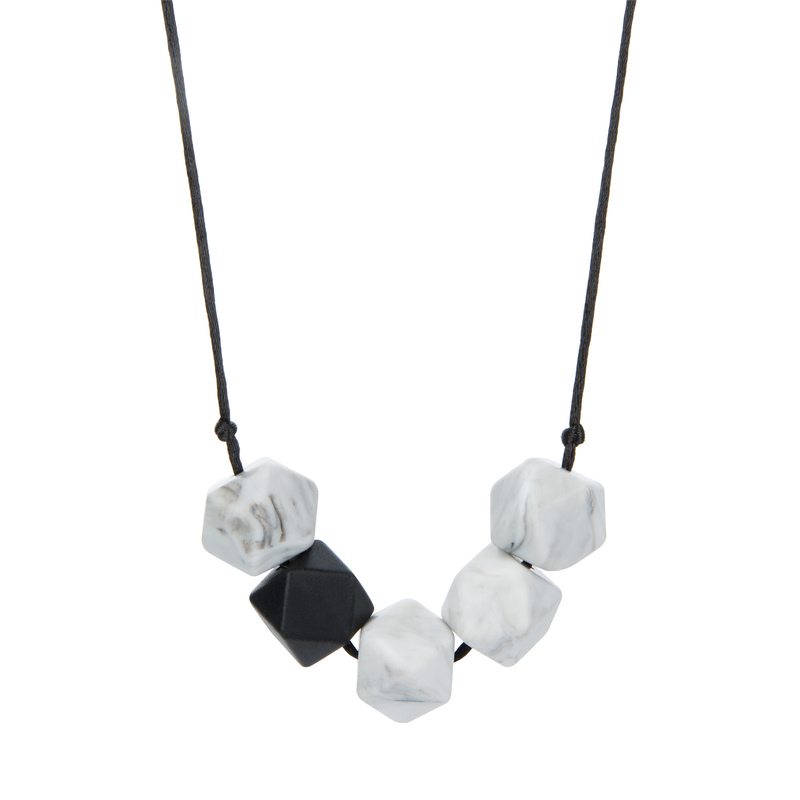 Grey marble effect silicone beads take centre stage with one solitary complementary black bead which makes a real style statement. This suzie will literally go with your whole wardrobe, so you don’t have to worry about matching accessories to your outfit (who has time for that these days). Suzie features five hexagonal / geometric style beads which not only adds a little accessorising pop to your outfits, but your little one will also love chewing and grabbing on these shapes. Necklace features black satin nylon cord with complementing breakaway safety clasp. Designed to be worn by you, our necklaces are made from baby safe materials so that they can be happily chewed on by Boo. Our necklaces can also double up as feed beads, helping to keep your little one’s hands busy while you feed. Boo Chew products are independently tested by a UKAS accredited independent test house for compliance with EN71, parts 1,2 and 3. Boo Chew jewellery is designed to be worn by an adult only and is NOT a toy. Never leave it unattended with a child or allow a child to wear it due to risk of small parts and strangulation due to the length of the cord.